WHERE SERVICES ARE PERSONAL, AMENITIES ARE COMFORTING, AND ACTIVITIES ARE ENGAGING. At Pinole Senior Village, we’re dedicated to offering services, amenities, programs, and classes customized to our residents. We love hearing from the people within our community to learn what events might be of interest, which clubs we could add, and how we could make every day a better one. 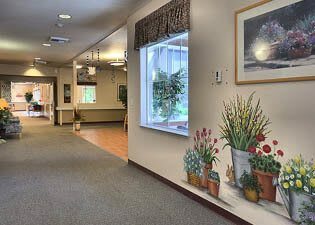 Arts, Crafts & Culture - Residents of Pinole Senior Village always have the opportunity to get creative with countless offerings designed around arts, crafts, and culture. Try a hands-on activity inside our community to make something you can be proud of. Or connect with our Westmont Living Volunteer Center to get involved and contribute to the greater community. Clubs - Pinole Senior Village hosts a variety of clubs to suit every one of our residents here. Whether you’ve always looked forward to a weekly game of bridge with friends, enjoy hitting the links, or have a passion for photography, you’ll find a club you can join here. Don’t see a group catered to your hobbies? Our team will help you start one! Fitness - Staying fit as we age is one of the great challenges and joys of life. Pinole Senior Village helps residents remain active by providing trainers who can work with you one-on-one. Push yourself to try something new like tai chi with one of our instructors. Lifelong Learning - Continued education helps us keep using our brains and gives us something to look forward to. It’s also a chance to find topics we can discuss with others so we feel we’re bringing something new to the conversation. Take a class from one of our staff, a local professor, or a fellow resident to learn something new! Pinole Senior Village was built with the idea that a community offering activities, amenities, and services designed around residents provides the most fulfilling living experience possible. Residents here fall in love with our approach to living. We believe full days equal optimal health, happiness, and sense of purpose.